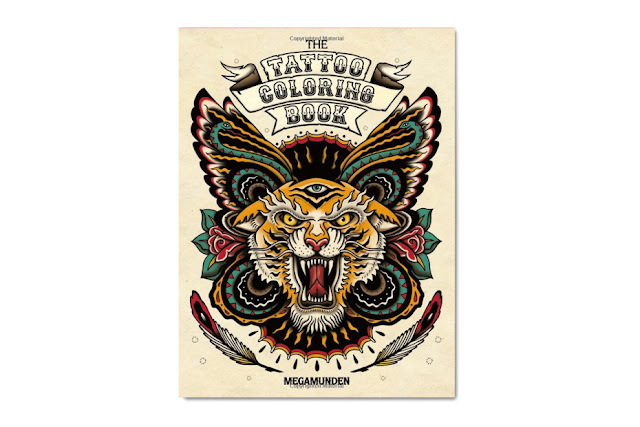 British tattoo artist Megamunden unleashes his Tattoo Coloring Book giving a very smart twist to the sometimes stale tattoo industry. All of the various classic tattoo styles are represented. Every piece is blank and ready to be customized by you which are also able to be teared out of the book for display purposes. You can pick up the book now on Amazon for just $11 here so go pick up a copy its a great Christmas gift.